The gendered division of domestic labor has been widely studied over the last three decades. However, older adults’ contribution to housework, especially in patriarchal communities in the Middle East, has been largely overlooked. This article examined the participation of older members of the household in domestic labor in three communities in the outskirts of Beirut, the capital of Lebanon. 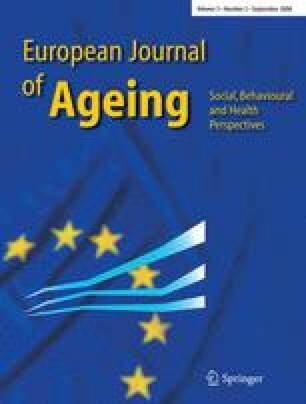 Drawing on a sample of 2,797 households, the results revealed that three salient factors seemed to have the major impact on older adults’ participation in domestic labor; these were the presence of adult women (18–59 years old) in the household, the marital status and age of older adults. Older men’s participation in domestic labor was much lower than that of older women, suggesting that a gender divide exists among older adults in the patriarchal setting of the study. Housework remains feminized in the later stage of life. This project was supported by grants from the Wellcome Trust, Mellon and Ford Foundations.